Firefighter Movers Fort Worth | Reliable Movers - MoveStar Inc.
Have you been looking for firefighter movers in Fort Worth? 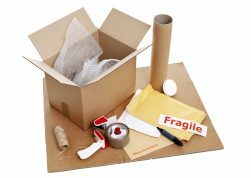 Moving can be a challenging and even overwhelming experience, especially if you don’t have a lot of support or time. That’s why you need a moving company with integrity and a team of experienced professionals who are fully dedicated to making your move as easy, stress-free and affordable as possible. MoveStar Inc. is a well-known company of firefighter movers in Fort Worth that is ranked as one of the top moving companies by “The 2014 Dallas A-List awards.“ The company is owned and operated by off-duty firefighters in the Fort Worth area. Whether your move is residential or commercial, our team of firefighter movers in Fort Worth offers a full line of services to cover all aspects of your move so you don’t have to shop around for related services. We can do everything from packing up your belongings and prized treasures to cleaning up your old place once you’re moved out. 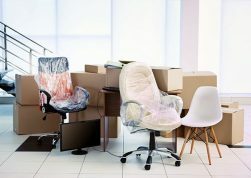 We are also expert commercial movers, with years of experience in both office and industrial relocations. Our team of firefighter movers in Fort Worth will help you to strategically plan your move so that it has minimal impact on your business. And we can handle everything from furniture and lighting installations to warehouse storage of products, and much more. If you are looking for reliable and affordable service, call us today to speak to one of our firefighter movers in Fort Worth. We’ll set up an appointment to come speak with you in person regarding your specific moving needs. We’ll address any concerns and answer any questions you have to ensure you’re confident that your move is covered from start to finish.